A conference of great African minds seeking a shift of the status quo. 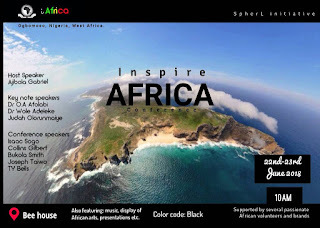 In order to inspire Africa towards a progressively evolving and sustainable future. This is going to be a massive transformation for the vast majority of young people who are seeking to be an impact to their world. 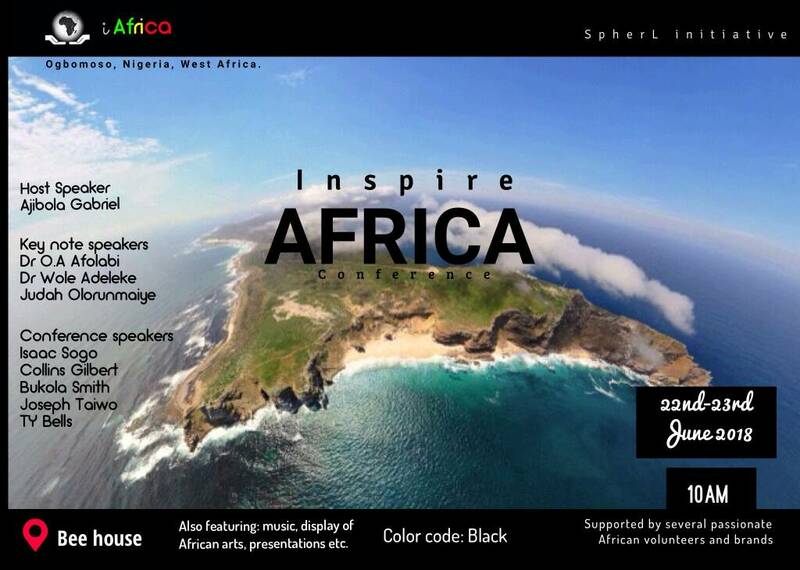 iAFRICA is coming first to LAUTECH Ogbomoso, Nigeria, West Africa. A passionate educator, who seeks to re educate minds in order to yield a great depth and development of the individual mind. An impeccable character with a genuine zeal for transformational leadership. This is one whose works shift systems. He's one other person you can't afford to miss out on. A young charismatic leader who has made excellence a culture. This is one person who would not leave any vein of mediocrity in your cells. You won't want to miss out on this. Head of The Woman and Child Support Network (TWCSN). This is one brilliant young lady whose ideas and innovations are groundbreaking to push you to the next continental level. There would be featuring several presentations arts, spoken words, music etc. This conference will run for two days (Friday and Saturday) 22nd & 23rd of June, 2018. Venue: Bee House, Faculty of Agricultural Sciences. Registration is free, register @venue! This is the breaking edge!